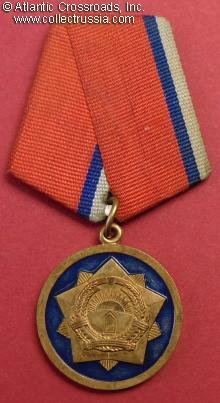 Medal for 25 Years of Service in the Afghan People's Army, 1987-1992. 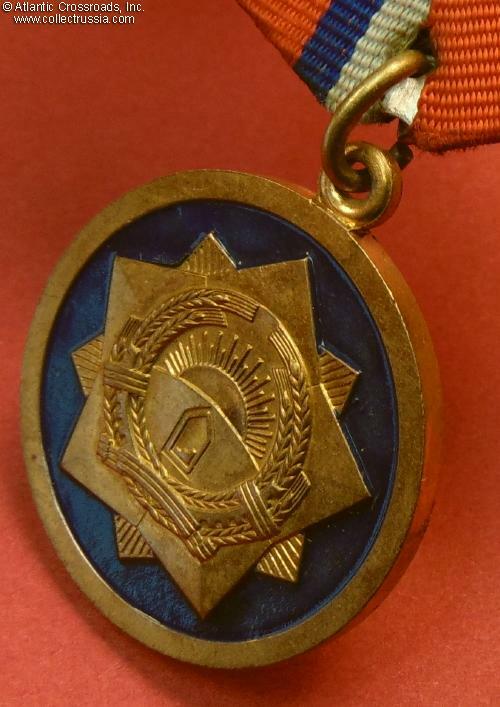 Brass, dark blue enamel; 32.1 mm wide. Features double-rayed star. 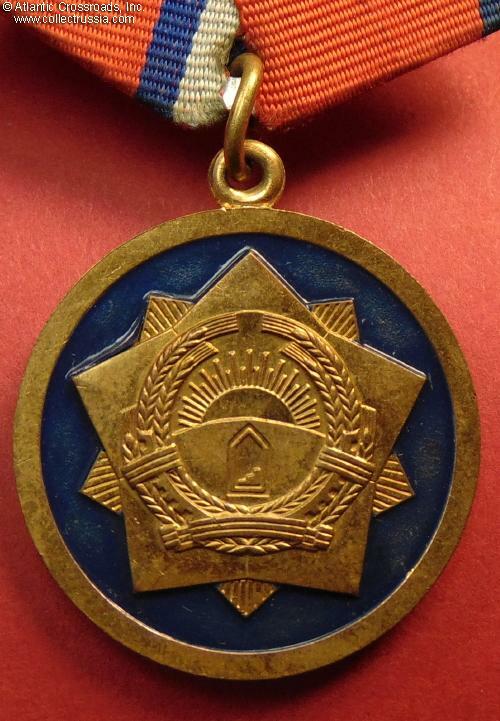 Reverse is inscribed in Dari "Medal of Honor of Service in the Armed Forces, after 25 Years of Service". 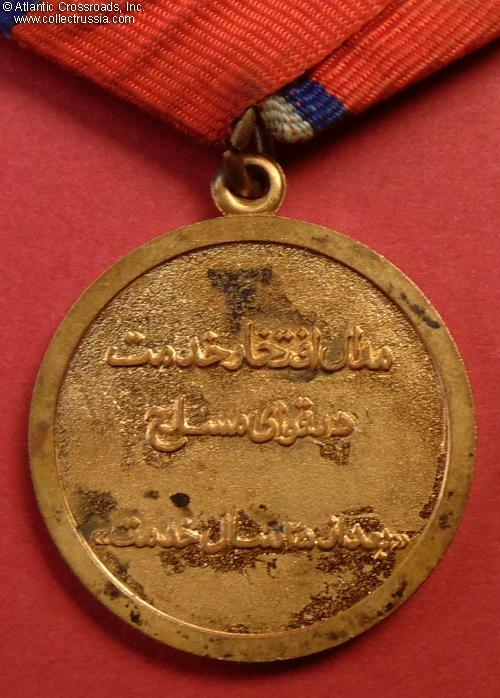 This is the highest medal of the Afghan long service series. In very fine to excellent condition. The blue enamel is completely intact and free of scratches or rubbing. The gilt finish is well preserved and bright on both sides, although there are some blemishes on the reverse (they look far less detractive "in person" than in our enlarged photos.) The raised details are perfect. 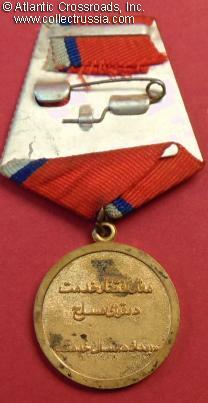 Comes with very uncommon original ribbon (most Afghan medals were worn with generic ribbon of red, black and green). The ribbon shows age but is nice and clean overall.